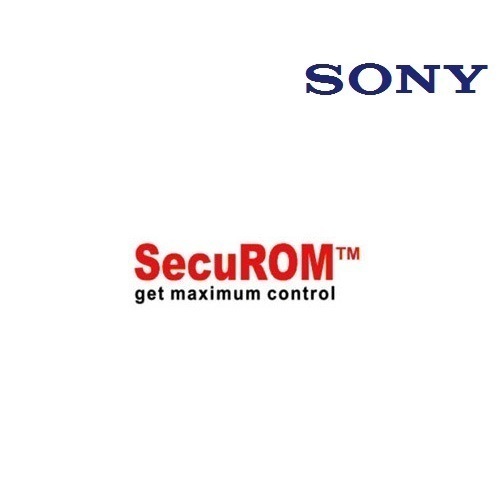 SecuROM is the most powerful tool for protecting your software against CD/DVD-R burning, hard disc recording, distribution over the internet, and professional piracy by mass replication, Highly affordable, a small investment in SecuROM will pay off immediately with increased sales and higher profits. We, Sony DADC Manufacturing India Pvt Ltd, established our presence in 1996 as the manufacturer, supplier and exporter of a diverse range of Optical Discs and Software. Our product portfolio is inclusive of Compact Disc, Mini Disc, Digital Versatile Disc and Computer Software. Our range of optical discs is regarded for their high storage capacity, long functional life, and compatibility with all standard computers and CD/DVD players. These products are manufactured in compliance with the prevailing industry standards using optimum quality materials and advanced technology. Our range of software has vast application area and is highly regarded for its accurate results and effectiveness. We export our products in All over the world. Backed by our extensive domain expertise, we have created innovative products for our customers. Our customers have been delighted with our distinctive offerings time and again. We have a vast clientele that is spread all over the world. In order to achieve maximum customer satisfaction, we focus on their exact needs and full fill them in the most cost effective manner. Owing to our ethical disposition, we are considered highly trustworthy by the customers. Sony DADC is the leading disc solution provider for the Entertainment, Education, Spiritual and IT Industry offering world-class optical media replication. We are 100% subsidiary of Sony corporation Japan. In India we manufacture Prerecorded Audio CD’s, Video CD’s, CD Roms, DVD’s, DVD Roms & Blu Ray discs. As a service provider we manage your intellectual property. Security is a top priority in Sony DADC's day-to-day business processes and an integral part of our operation. We have state of art manufacturing plant with Class 10000 with capability to produce products with International Quality standards. We take services like Packaging, Paper part Printing, Authoring and Protection Solution for your content. In addition, we also offer distribution (Physical and Digital), E commerce distribution, Sales and Marketing and offerings like Content to Cheque.